Your fee covers race entry and timing, a finisher's medal, all wines and food at the drinks stations (marathon runners visit each station twice), a high quality technical T-shirt, a ticket to the post-race hog roast with complimentary drink, free parking, medical support throughout, secure baggage and free digital downloads of your race photographs. 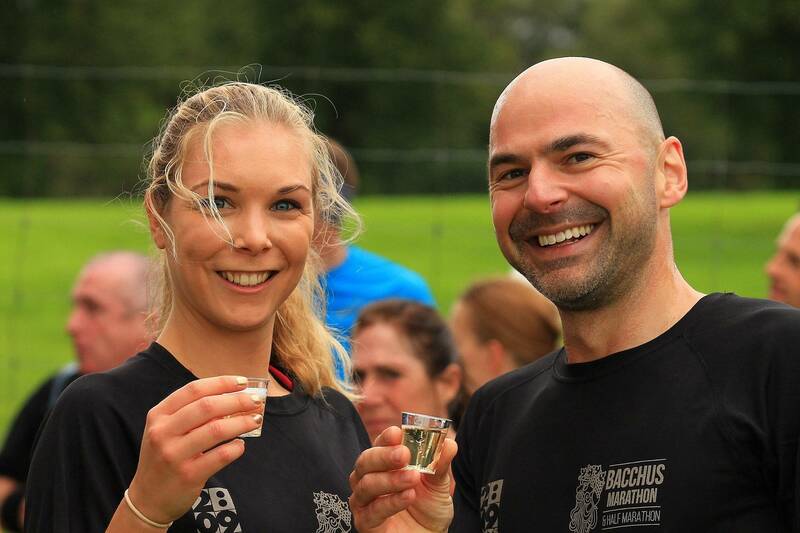 This event will be timed and your fee includes a finisher's medal, drinks and food at one drink station, a ticket to the post-race hog roast with complimentary drink and free digital downloads of your race photographs. The 2-Mile Run Run is free to entry but is not timed and everyone who completes the distance will receive a finisher's medal. Registration is through the on-line entry portal Results Base (www.resultsbase.net). 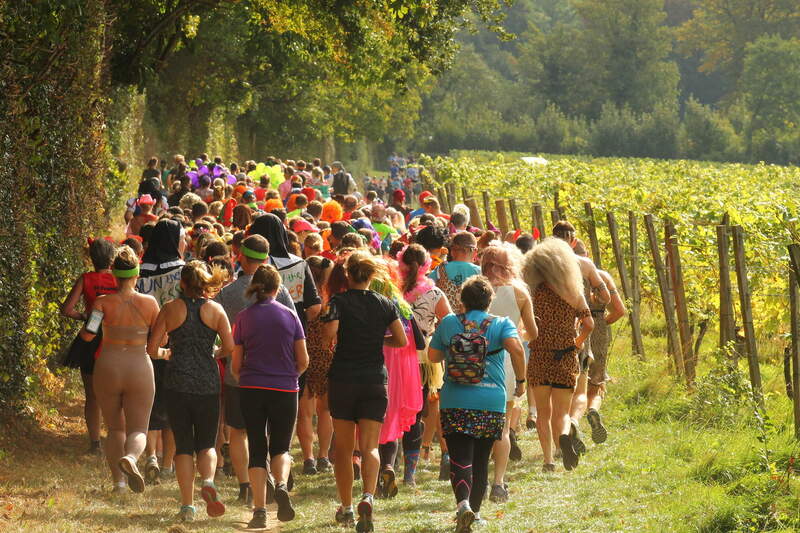 The Enter Now button above will take you directly to the Bacchus registration page. A £3 admin charge will be added to your payment by the on-line entry provider. Numbers will be available for pick up on the morning of the race from 8am onwards. The registration will be in the large marquee next to Denbies main building, which will also host the hog roast. Your personal number and the wave you selected when entering, will be communicated to you by e-mail in the first week of September 2019. You need to know both to pick up your number. Your timing chip will be attached to your race number. Please arrive an hour before your intended start to give you time to collect your number on the morning. 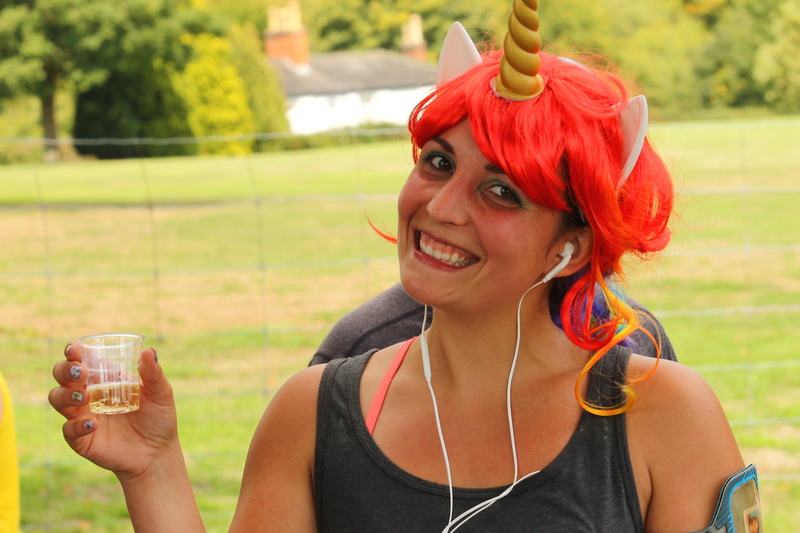 Your race number will have a number of detachable elements and can be exchanged for food and drink at the hog roast and your race T-shirt, which will be distributed at the finish after you have received your medal. The T-shirts are size chest equivalents are S (36" and below) M (38-40") L (40-42") XL (42" and above). You will be given the T-shirt size that you ordered. We place orders according to those sizes so we will not be able to exchange the size you ordered on the day for a different size. There will a limited number of additional T-shirts available for purchase on race day for £15. We can't promise we will have all sizes. There is a secured baggage area beyond the registration area, which is manned at all times. It will be a short walking distance from the start/finish line. There will be a tear-off baggage tag on the bottom of your race number. Attach the tag to any baggage you wish to leave. The baggage area will be open from 8.30am and will remain open until the last bag is collected. The event car park is within the grounds of Denbies Vineyard, Dorking, RH5 6AA. The event car park will be sign posted from the Denbies main entrance and event marshals inside the car park will direct you where to park. There is ample space in the car park for all competitors. Please use the designated event car park and do not park in other areas of the Denbies complex. The event car park is a short walk to race registration and number pick up area, which itself is close to the race start. There will be plenty of portable toilets in the start/finish area. There are additional men's and women's toilets inside Denbies main building. There will also be portable toilets at three locations on the course. Although the race route crosses one public highway, the route itself does not run on the public highway. We do not ban headphones, although we advise against running in them and if you decide to use them, you do so at your own risk.